Sun and clouds mixed. A stray shower or thunderstorm is possible. High 81F. Winds NNW at 10 to 15 mph.. Rocks and Ropes, 330 S. Toole Ave., offers challenges and fun. Visitors to the Mount Lemmon SkyCenter view a photo of the Veil Nebula, photographed by Adam Block, coordinator for public observing programs. The UA established SkyCenter to provide astronomy adventures to visitors on the university's observing site. Linda Whelan with Southern Arizona Roadrunners, right, cheers on the finishers. Autobahn has eight locations across the country, and its main demographic is men between the ages of 18 and 40. But that doesn’t stop the speedway from hosting a ladies’ night every Friday. The main gallery has been cleared of obstructions and new flooring installed throughout at the Tucson Museum of Art, 140 N Main Ave in Tucson, AZ on October 11, 2017. The Rialto Theatre sign above the marquee, 318 E. Congress. 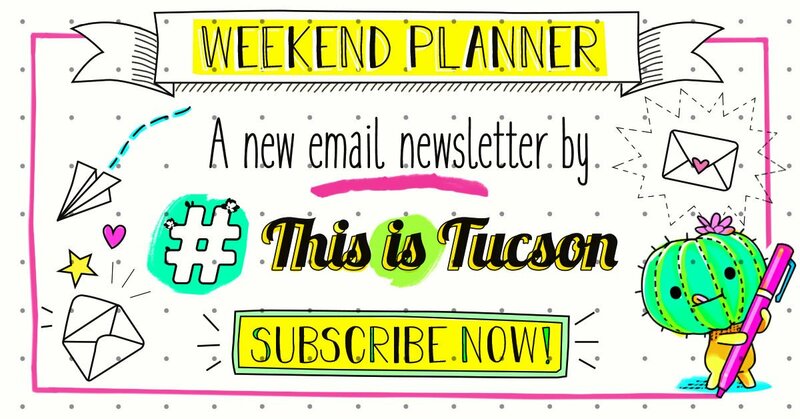 This year, give the gift of Tucson. Rather than loading up your home with more stuff, give something that compels your people out of the house and into our city. Give the gift of time together and memories made. From museum passes to ziplining, there's so much to do, no matter the interest. PLUS this keeps you out of the mall and away from the craziness. Here are 20 experiences to give (with bonus ideas at the end). Arizona State Parks annual pass: Head to the hills. 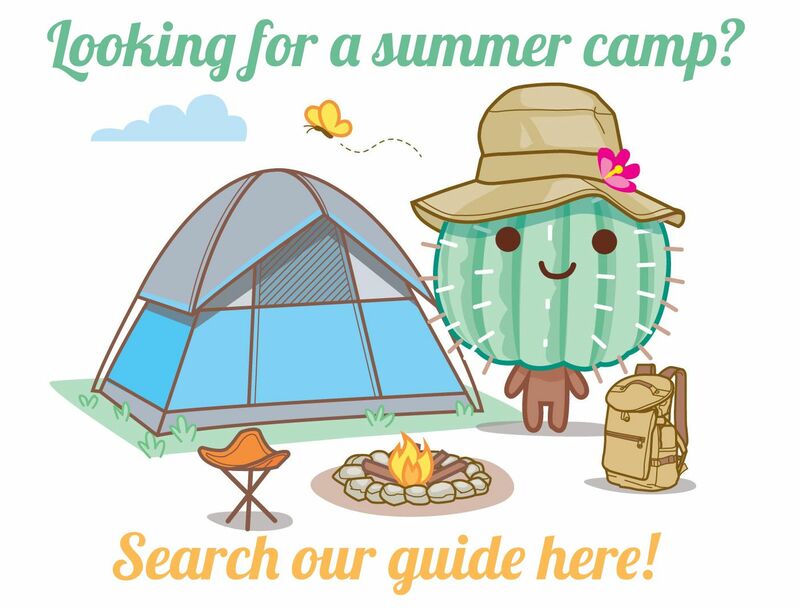 The pass gives day-use access to state parks — some near us include: Catalina State Park, Oracle State Park, Picacho Peak State Park, Tubac Presidio State Historic Park and Kartchner Caverns State Park. Get the standard pass for $75 plus a $7 handling fee or the premium pass for $200 plus a $7 handling fee. The standard pass has a few restrictions during weekends and holidays. Go here for more information. Arizona-Sonora Desert Museum membership: This place, 2021 N. Kinney Road, is more of a desert wonderland than a museum. Get the individual annual pass for $69 (includes two, one-use guest passes), the pass for two (with three one-use guest passes) for $99 or the family pass for $125. That latter option gets two adults in plus the kiddos (and includes three one-use guest passes). Go to desertmuseum.org for more information. Gardens memberships: Stroll a garden oasis in the middle of the city. Individual memberships at the Tucson Botanical Gardens, 2150 N. Alvernon Way, and Tohono Chul, 7366 N. Paseo del Norte, cost $45 and include two one-use guest passes. The family pass at both parks cover two adults and their children (look at specific passes for more detailed information). Those cost $65. Go to tucsonbotanical.org for more information on the Tucson Botanical Gardens. Go to tohonochulpark.org for more information on Tohono Chul. Rialto Theatre membership: Memberships for the theatre, 318 E. Congress St., start with perks and discounts ($30 gets you $1 off drinks, a decal, pre-show party access, etc.) and scale all the way up to $2,500 with admission for two to every show for a year. Some membership benefits also apply at the 191 Toole venue. You could also give a Rialto gift certificate or purchase tickets to a specific show. Here's the calendar. Visit rialtotheatre.com for more information. Yoga Oasis monthly pass: Yoga Oasis has plenty of class times at its three locations: Downtown, 245 E. Congress St.; Central, 2631 N. Campbell Ave.; East, 7858 E. Wrightstown Road. The unlimited monthly pass for $95 includes all classes at all locations. Or opt for the downtown-specific unlimited monthly pass for $55. Go to yogaoasis.com for more information. Southern Arizona Roadrunners membership: For the avid runner, a membership means reduced entry to races throughout the year, discounts, automatic entry into the Grand Prix and a community of fellow athletes. One year membership for an individual costs $20. Go to azroadrunners.org for more information. Boutique studio class pass: In the last five years, a bunch of specialized fitness studios have popped up all over Tucson. They promise results, but they're not cheap. For fans of spin, try Let's Sweat, 439 N. Sixth Ave., or Revolve Cycling, 4330 N. Campbell Ave. A five class pass costs $70 at Let's Sweat and $75 and Revolve. The dancer in your life might enjoy barre — ballet meets pilates meets yoga. Try Barre 3, 2905 E. Skyline Drive, or Pure Barre, 7121 N. Oracle Road. At Barre 3, you can purchase five classes for $90. Only a 10-class pack is available at Pure Barre for $210. Rocks and Ropes gift card: Rocks and Ropes, 330 S. Toole Ave., is currently under construction, but slated to open soon. In the meantime, check out the Bloc Climbing + Fitness bouldering gym, 8975 E. Tanque Verde Road. Admission is $18 for an adult plus $8 for equipment rental. There are also membership options or you can buy a 10-admission punchcard for $119. Go to rocksandropes.com for more information. Arizona Zipline Adventures tour: Go ziplining on the backside of Mount Lemmon (35406 S. Mt. Lemmon Road in Oracle). There's even a sunset option! One adult zipline tour costs $79 and traverses five ziplines over the desert. You can purchase a gift card. Go to ziparizona.com for more information. 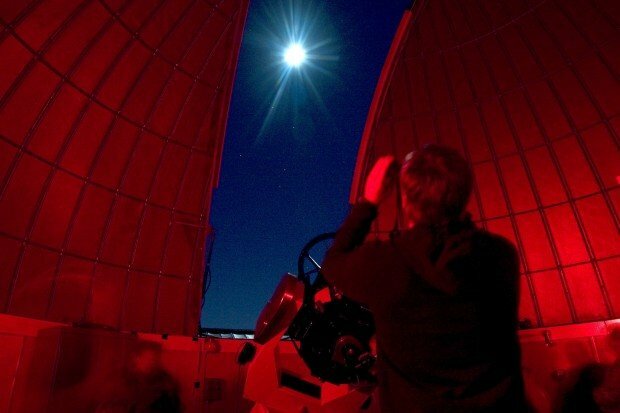 SkyNights Stargazing program: Head up to the University of Arizona's Mount Lemmon SkyCenter for a night of astronomy culminating with views of galaxies, planets and nebulae (weather permitting) through UA telescopes. Tickets cost $75 for adults and $50 for youth ages 7-17. Go to skycenter.arizona.edu for more information. The UA's Flandrau Science Center and Planetarium, 1601 E. University Blvd., also offers a membership program that gets you free admission to the Science Center and Mineral Museum and $3 admission to planetarium and laser shows. Membership rates start at $55 for an individual for a year. A family pass is $105 a year. Go to flandrau.org for more information. Children's Museum Tucson membership: For the mom whose kids need to burn some energy, the Children's Museum has a location in Tucson, 200 S. Sixth Ave., and Oro Valley, 11015 N. Oracle Road. A pass for two adults and four children costs $120 at each museum or $155 for access to both. A pass for two grandparents and all grandchildren costs $100 for an individual location or $125 for both. A pass for any group of three costs $95 at individual locations or $115 for both. Go to childrensmuseumtucson.org for more information. Autobahn Indoor Speedway race: Tucson now has indoor go-karting. The facility at 300 S. Toole Ave. has two tracks with speeds reaching 50 miles per hour. Trust us, it feels fast. You can buy a $50 gift card for $40 (but there are only about 20 of those available) or just make it an IOU. A single race costs $19.99 but the speedway runs specials for buying more than one race. Go to autobahnspeed.com for more information. You'll also need to purchase a license for $7.95 that you can reuse. Trampoline park gift card: Spend an hour jumping on a trampoline and you will sleep like a baby the next night. Check out Get Air Trampoline Park, 330 S. Toole Ave. The park is running a special through Dec. 24 — buy a $25 gift card and get a $5 gift card free. One hour of bouncing will cost you $11.99 plus $3 for the required jump socks. Go to getairtucson.com for more information. If you live on the northwest side, AZ Air Time, 3931 W. Costco Drive, is basically the same thing. One hour of jumping here costs $13 and socks are $3. Go to azairtime.com for more information. Both places have regular deals. Escape room gift card: Tucson has tons of escape rooms. Pick the one nearest to you and gift an immersive puzzle. Some options: Escape Room Tucson, 3655 N. Oracle Road, starts at $24 a person; Ace of Escape, 406 N. Church Ave., starts at $25 a person; Down the Rabbit Hole, 5132 E. Pima St., starts at $24 a person; Fox in a Box Tucson, 972 E. University Blvd., starts at $36 for two people; Will You Escape?, 2577 N. First Ave., starts at $25 a person. Topgolf gift card: Imagine bowling but with a driving range, plus way swankier than your typical bowling alley. Head to Marana, 4050 W. Costco Place, to test your swing. You pay per bay here and can squeeze as many as six players into one bay. Prices start at $25 per bay, per hour and increase as the day progresses. Each player will also need to purchase a $5 membership card that keeps track of your score. Go to topgolf.com/us/tucson for more information. Broadway in Tucson tickets: You can opt for season tickets for the die-hard Broadway lover or just go for one show at the University of Arizona's Centennial Hall, 1020 E. University Blvd. The upcoming season includes "Waitress" (Dec. 4-9), "Something Rotten" (Feb. 5-10), "The Illusionists" (March 22-23), "Fiddler on the Roof" (April 9-14) and Cats (April 30 - May 5). Tickets start around $30 a show. There are also gift certificates available. Go to broadwayintucson.com for more information. Also, check out Arizona Theatre Company shows at the Temple of Music and Art. Tucson Symphony Orchestra tickets: Because who wouldn't want to spend an evening at the symphony? The TSO has a make-your-own subscription option or you can purchase tickets for a single show. Ticket prices vary. Go to tucsonsymphony.org for more information. Art museum memberships: Downtown Tucson has two top-notch art museums. At the Tucson Museum of Art, 140 N. Main Ave., $50 gets you an individual membership, including admission to the museum, discounts on art classes and museum stores and other goodies. If you want to include the whole family, $60 gives two adults membership and children under 18. Go to tucsonmuseumofart.org for more information. The Museum of Contemporary Art Tucson, 265 S. Church Ave., has a membership option that starts at $40 for an individual. Go to moca-tucson.org for more information. The UA's Museum of Art and Center for Creative Photography also have membership options. RoadHouse Cinemas gift card: It's dinner and a movie all at once. The fancy theater at 4811 E. Grant Road, has dine-in movie theaters serving a full menu. Plus, recliners and a full bar in the lobby. Adult tickets start at $7.95 for a weekday matinee and rise to $12.50 for a weekend evening. Gift cards are available at the box office. Go to roadhousecinemas.com for more information. Paint and sip party gift certificate: Instead of consuming art, create it. Let an artist lead you through a pre-selected painting as a group, and by the end of the class, you should have a wall-worthy masterpiece. Tucson has so many businesses doing this with models ranging from meeting at restaurants to your home to a dedicated studio. Here are three with gift card options: Arte Bella Painting, comes to you, prices vary; Brush and Bottle, 1785 E. Prince Road, BYOB, starts around $35 and Creative Juice, 6530 E. Tanque Verde Road, they provide the drinks in studio, starts around $29. We also have a list of other make-and-sip experiences if your artist prefers working with clay, fabric or plants instead. Because it's summer and AC is everything. Nothing is more festive than amazing lights and fun music. School is out and your guest room is occupied. If you still have Christmas shopping to finish up, but aren't quite sure what to get, we've got a suggestion. It's the season of twinkle lights, sugar cookies, and watching our favorite holiday movies till the calendar says 2019.